With her mother by her side, Sabira receives treatment for meningitis, a disease that can be deadly if left untreated. Every day, Doctors Without Borders teams are on the ground in more than 60 countries around the world delivering front-line medical care to people affected by life-threatening epidemics and outbreaks of disease. We’re there to save lives, and to give hope to ailing people by letting them know they have not been forgotten, regardless of their race, religion or political beliefs. Help us stop the spread of disease, and restore sick people back to health. Care for everyone. Donate now. Infectious disease kills 14 million people every year, most of whom are in the developing world. "What I’ve experienced is that I can’t know the future. I can’t know if anything that I do will change what happens tomorrow. I can’t know with certainty, but what I do know is if I do nothing, nothing will change." 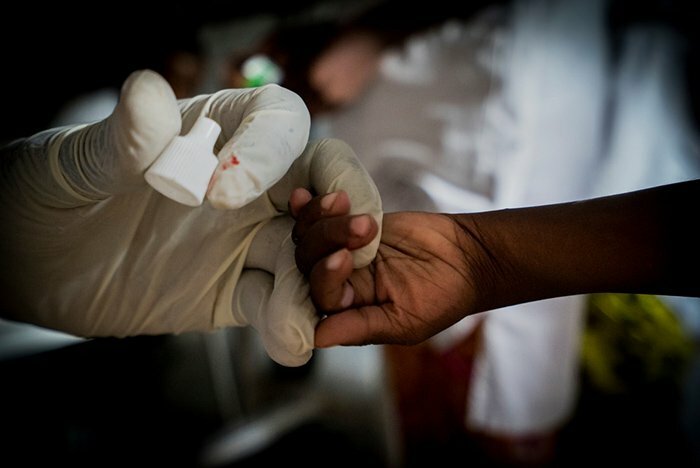 Doctors Without Borders has been responding to disease outbreaks for more than 40 years. We help people who are caught in crisis, restoring them to health, protecting their dignity and offering them the possibility of hope. We are the world’s first responders. Independent, neutral and impartial, we work around the world, responding at the first sign of a crisis, and moving quickly to ease suffering and save lives. Help us get to the front line of the next crisis by donating now. 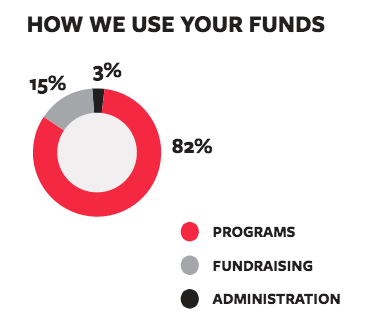 Over 90% of our funding comes from people like you — private individuals, rather than governments or large institutions. Your generosity allows us to remain independent and effective, enabling us to act quickly and to go wherever the needs are greatest. With hundreds of projects worldwide, we are the world’s leading independent international medical relief organization, implementing and managing lifesaving interventions across the globe. For more than 40 years, we have provided medical assistance to people affected by armed conflicts, natural disasters, disease epidemics, malnutrition crises and other emergencies. We are able to continue our essential lifesaving work thanks to the support of people like you. Donate now to help us save lives. Doctors Without Borders operates on the principle that every life matters — that everyone deserves respect and dignity, and no one should be denied access to essential lifesaving healthcare. To continue the work we do, and to save lives, we need you. Please join us. DONATE NOW. MSF is committed to protecting the privacy of our donors and to upholding the highest ethical standards in the way we raise funds. Personal information will remain confidential and is used for processing gifts, keeping you informed about MSF projects and activities, and to ask for your help in our mission to save lives and alleviate human suffering. We will honour your requests for information, including our most recent financial statements, and any wishes to limit future contact. Our materials will be truthful and will accurately describe our activities and the intended use of the funds we raise, while respecting the dignity and privacy of those who we strive to help. The greater your donation, the more lives you help save. Yes, I would like to receive email updates from MSF. Bring medical care, comfort and hope to more families struggling to overcome a disease epidemic. Donate monthly to MSF and you'll join our Partners Without Borders program. Your monthly donation will bring real-life healing and real-life hope to families who are living through devastating and debilitating disease outbreaks. » Not now, please complete my one-time contribution.